Stena has decided to exercise its option to build a seventh and eighth E-Flexer vessel. The two vessels will be deployed within Stena Line’s route network with a planned delivery in 2022. Additionally, Stena RoRo has taken an option on the construction of a further four E-Flexer vessels also to be built at Avic Weihai Shipyard, China. “We are very pleased to have ordered two additional E-Flexer vessels from Stena RoRo. We foresee increasing demand for freight capacity in Northern Europe and our new vessels fit very well in matching anticipated market developments as we prepare ourselves for further expansion. At this stage we haven’t decided where within our route network these two vessels will be deployed and are currently evaluating several options,” says Niclas Mårtensson, CEO Stena Line. “These vessels are the result of good cooperation between Stena RoRo and the AVIC Weihai Shipyard. 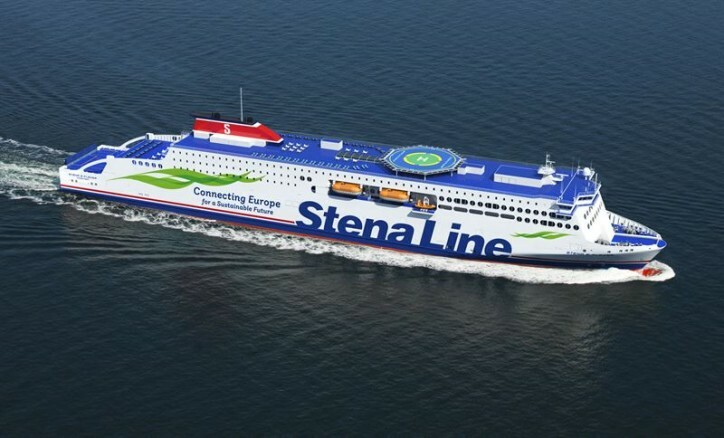 With their strong design capabilities, Stena Line will be able to optimise its capacity to accommodate the vessels within most parts of its route network”, says Per Westling, MD Stena RoRo. “We are building on our successful RoPax concept mixing freight and passenger traffic. Through standardisation we can secure a reliable operation and by investing in tonnage that is flexible we can provide an even better product that will ultimately support our customers and help them to grow”, said Niclas Mårtensson.